Really good book. It was very well-written, although the prose may be a little dense or descriptive for some people. I thought the plot was very good, though it is slow-moving. There are a lot of characters to keep track of, although I think Flynn does a good job of developing them. All in all a very good read but it just lacks that extra something to make it a 5 star. I look forward to reading more of Flynn's work. Set 28 years after Cobra Strike. The majority of the action takes place on Qasama. 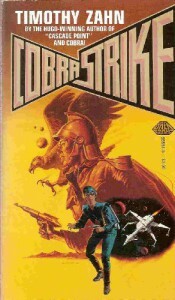 The main character in this one is Jasmine "Jin" Moreau, the first female cobra. However, as in the previous books in the series there are shifting perspectives. 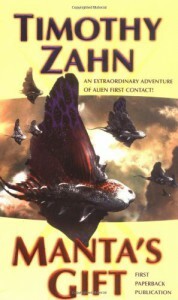 Solid science fiction from Zahn as always but probably the weakest in the trilogy. Also the ending, is a bit more open-ended than I like. 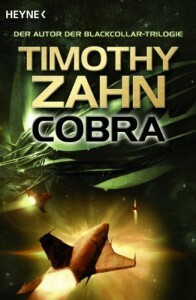 Please vote on list Best Timothy Zahn Novels.This book takes place 14 years after the events of Cobra. 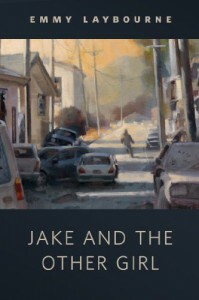 Members of the Moreau family are the main characters; namely Jonny, Justin, Joshua, and Corwin. Gwen also makes a couple of appearances. A really solid and enjoyable entry in the series, just not quite as good as the first one. The twist at the end was unexpected and interesting. Good characters from Zahn as always. Please vote on list Best Timothy Zahn Novels.Another really good sci-fi read from Timothy Zahn. This book is a little different from his later books in that there isn't a mystery throughout the book that is revealed at the end with a twist. The events in Cobra center around the life of main character Jonny Moreau. It covers around 30 years. We start with him before he becomes a Cobra then go through his training, his military career, and his political career. The character are likeable and realistic, although they could have used a bit more development. Zahn's worldbuilding is good and he manages to explain the technology and history of the Dominion of Man in a natural way. Zahn's prose is written very well also. 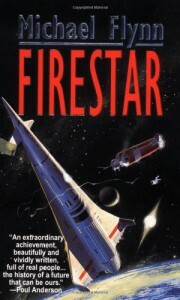 Recommend to all science fiction fans. 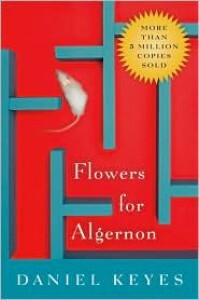 Really well-written and much of it was interesting, but there were some parts of the book that didn't hold my attention. 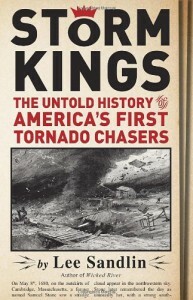 Still, the book was pretty good and I would recommend it to those interested in tornadoes. The stories about the fire tornado were the most interesting to me. I really wanted to like this book, but it was just terrible. The dialogue was awful; it just didn't sound natural. 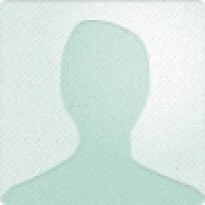 The main character of the book was annoying and not likable. Really none of the characters were likable. Once again there was the obligatory forced romance which I am really getting sick of in these types of books. World-building was non-existent and I thought the author's writing was poor as well. Only made it halfway through before giving up. This book was awful. This is my favorite book in the New Jedi Order series. Stover is such a great writer; his prose flows really well. 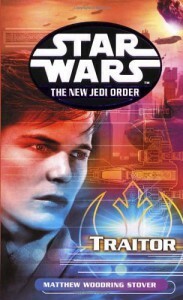 This book is all about Jacen and what happens when he's captured by the Yuuzhan Vong. It is really interesting to read about the Embrace of Pain, and learn a little more Yuuzhan Vong backstory. The exchanges between Vergere and Jacen are captivating and compulsively readable, especially when they talk about the nature of the force. Just a great read. Please vote on list Best Timothy Zahn novels.A little different from Zahn's other novels being that it is set on a near-future Earth. This isn't a bad thing though. 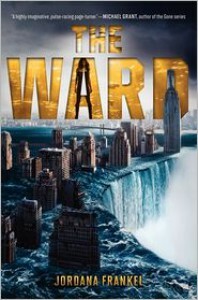 The plot is still engaging and the book is well-written, but one thing I was disappointed in was the characters. 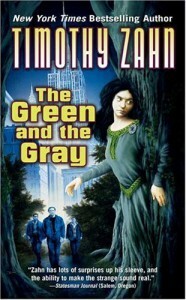 In all the previous books by Zahn I've read I really liked the characters and felt connected to them, but in this book I didn't feel anything for the characters. 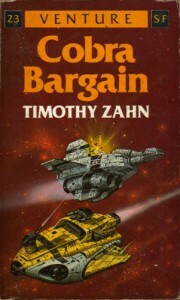 Still a solid read, but not my favorite by Zahn. Great book. Loved all the anecdotes in the book. 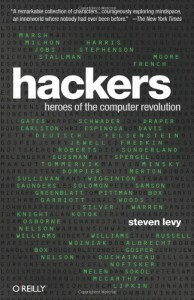 It was cool reading about people I already know about like Jobs, Wozniak, and Gates, but I really liked the stories about people I didn't already know about. Great read. Please vote on list Best Timothy Zahn Novels.Not my favorite by Zahn but still a really good book. It's kind of a coming-of-age story. The two main characters Raimey and Faraday are both likable. I thought the premise of Raimey becoming a Qanska was cool and well developed. Reading about the Qanskan culture was interesting. 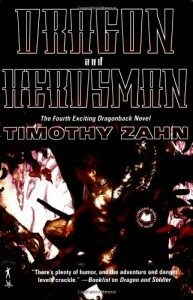 Please vote on list Best Timothy Zahn novels.A thrilling conclusion to the Dragonback series and my personal favorite. I was especially happy because Zahn manages to bring all the plot threads to a satisfying conclusion. It was great reading about Jack and seeing him mature throughout the series. Excellent suspense and action just as there was in the previous entries. A terrific read and I'm a little sad to be done with series. Recommended for science fiction adventure fans. Please vote on list Best Timothy Zahn novel.This is my favorite one in the series so far. The plot was great, as was the character development. I liked getting the perspective of Alison and Taneem also. I didn't enjoy their chapters as much as Jack and Draycos's, but they were still very good. The backstory for Jack was interesting, and I also enjoyed the new development in the relationship between Jack and Draycos. I was a little disappointed that there was nothing in the book from the twist at the end of book 4. Still a great read and my favorite in the series. Looking forward to the conclusion in book 6. Please vote on list Best Timothy Zahn Novels4.5 stars. 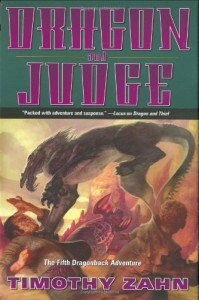 Not quite as good as the previous 3 entries in the Dragonback series but still great. This one focuses more on character development and exploring the relationship between K'da and their hosts, rather than advancing the overall plot of the series. That's not a bad thing though because I was still engaged throughout the novel, and it was cool seeing Jack's character continue to develop. I also liked learning more about the K'da with the introduction of the Phookas. Loved the twist at the end, looking forward to reading the next book. This is one of my favorite books in any genre. I really connected with this book. Charlie Gordon is definitely one of my favorite characters of all-time. Really thought provoking and engaging. I loved reading the progression of Charlie's intelligence reflected in his voice and his insights on society. Also, a really sad ending. 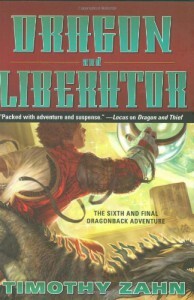 Please vote on list:Best Timothy Zahn novelsThis was a great addition to the Dragonback series. Zahn is becoming one of my favorite authors. I really felt something for the characters in this book. I like how Draycos's warrior ideals are rubbing off on Jack. Good cliffhanger at the end. Can't wait to read the next one in the series.